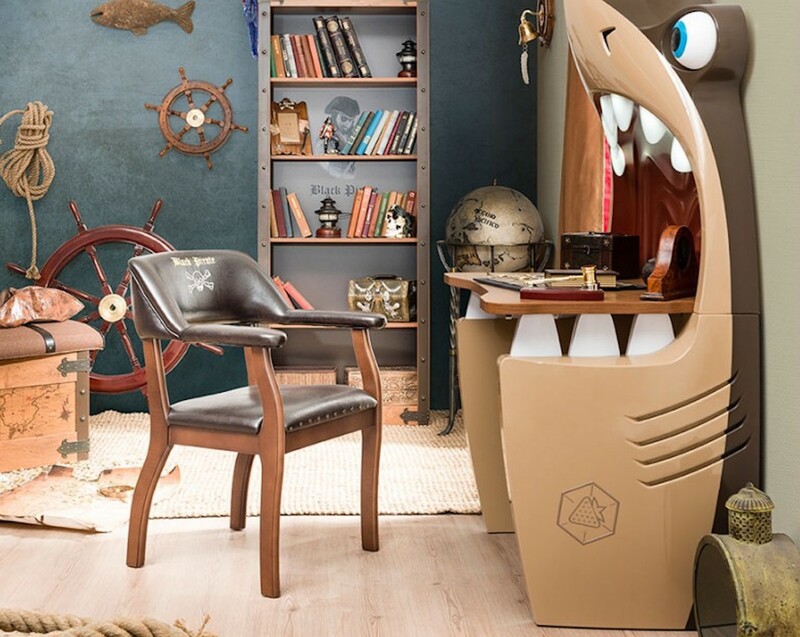 Add a fun desk to your child’s workspace with the Cilek Shark Study Desk, which looks like a cute shark with adjustable eyes and lit teeth. 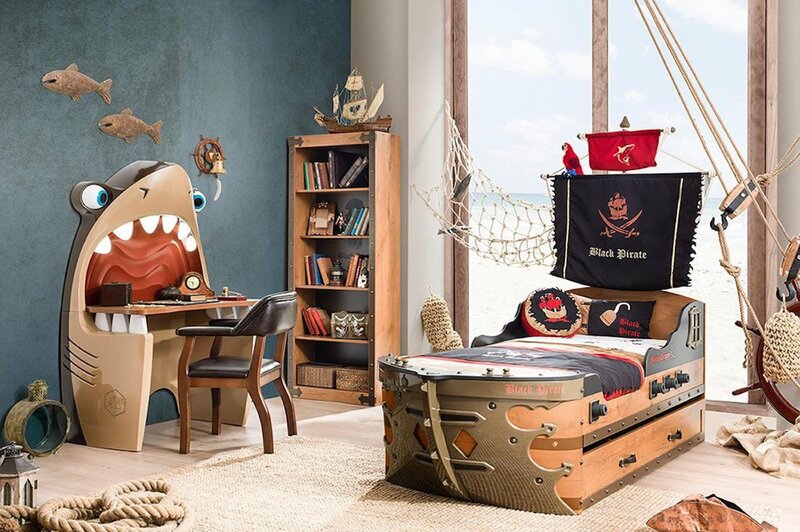 Add a fun desk to your kid’s bedroom with the Cilek Shark Study Desk. 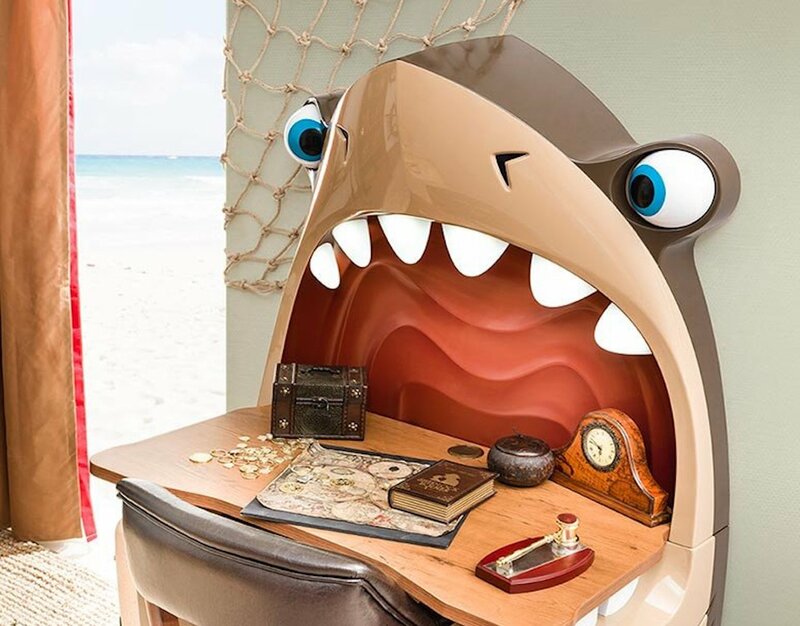 This study desk looks like a cute shark, complete with adjustable eyes and lit teeth. 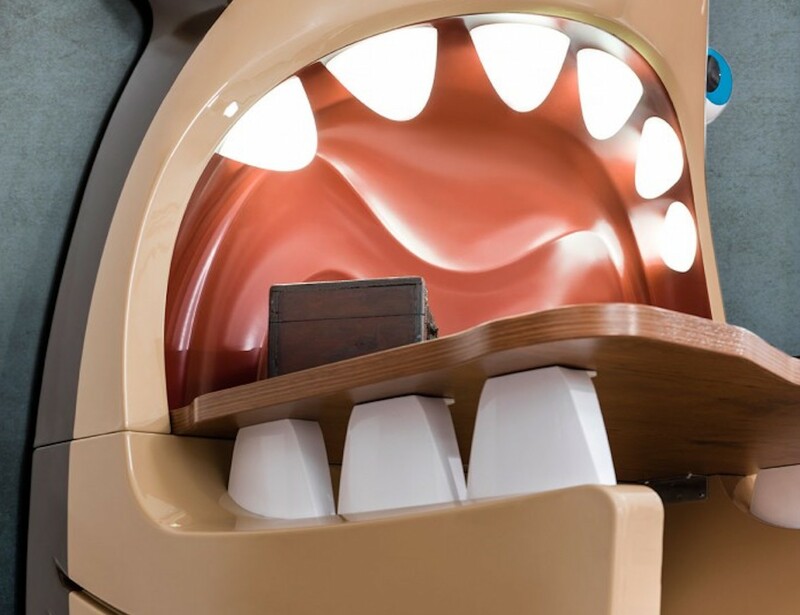 It comes in a chestnut color, adding color and excitement to any space. 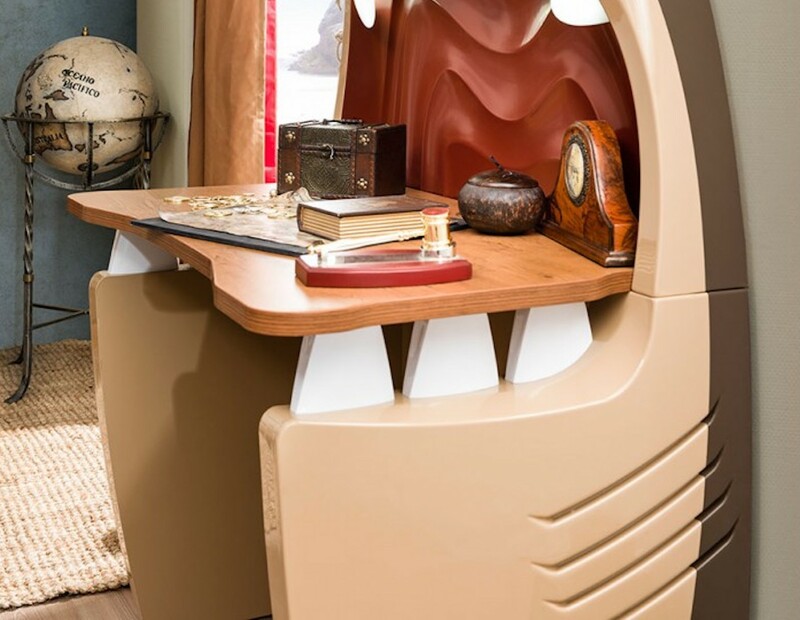 Additionally, the premium quality desk uses ABS Plastic, and a high detail finish. 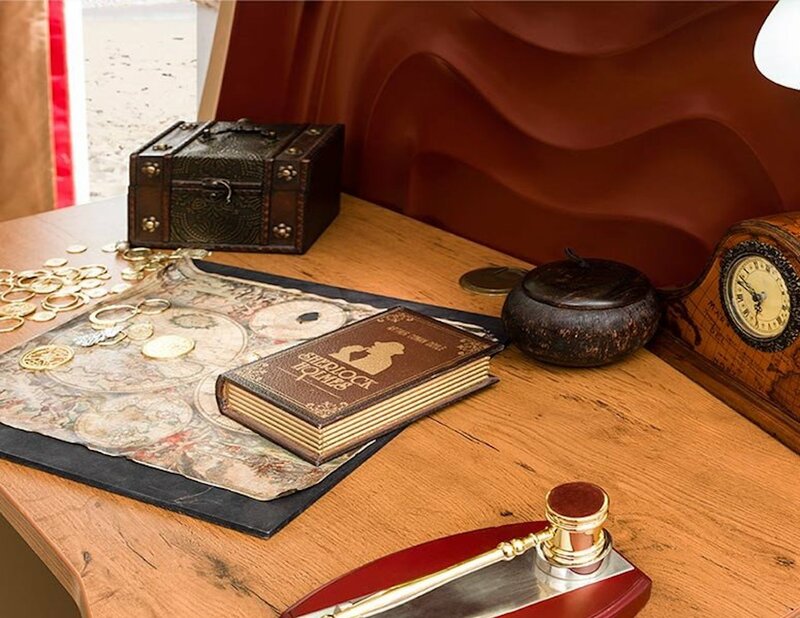 Specializing in luxury children’s furniture, Cilek brings high-quality décor to your home. Furthermore, Cilek children’s furniture uses top-quality materials and innovative technologies to ensure that their products meet the highest safety standards in the EU. 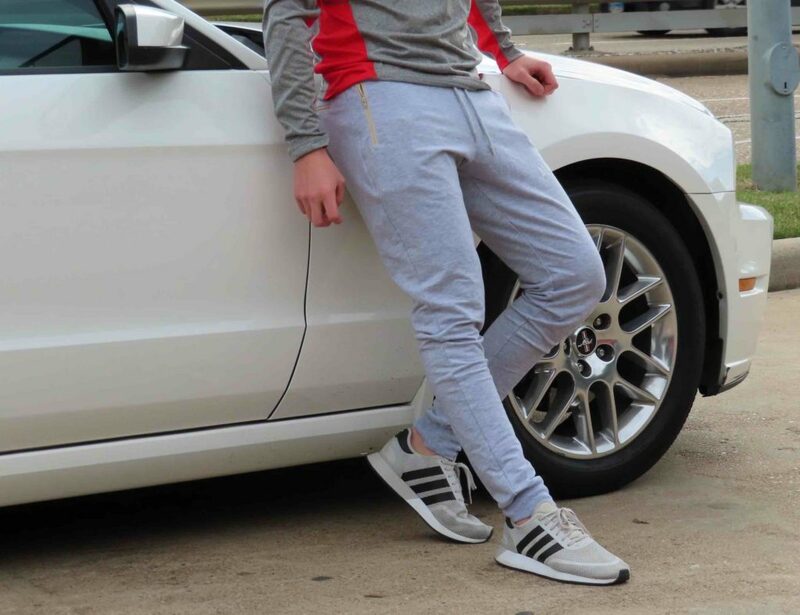 Likewise, all Cilek products have a Rotest quality certificate and a GS certificate. 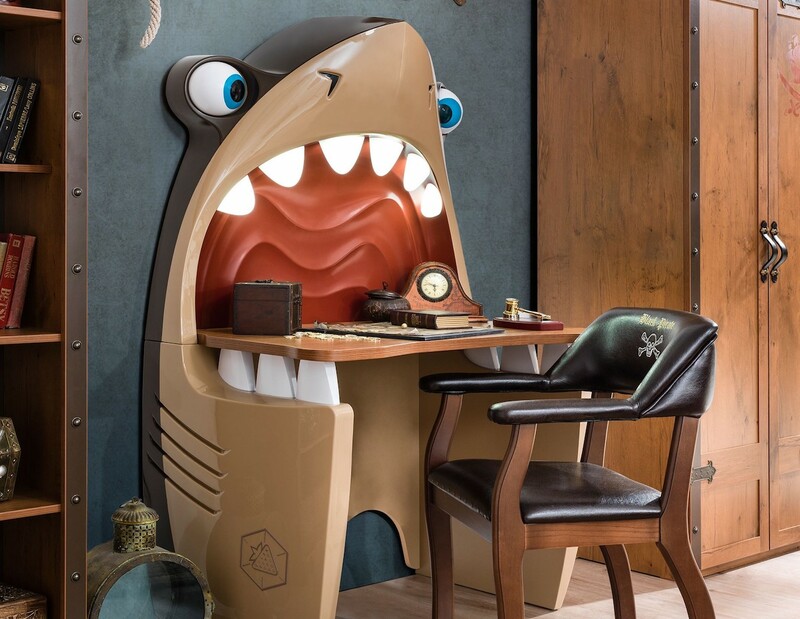 The Cilek Shark Study Desk also comes with a five-year warranty. Finally, the Shark Study Desk requires assembly.